On Tuesday Week 11, Lancaster University made a formal announcement that they would be raising tuition fees for most Home/EU undergraduate students from £9000 to £9250 beginning in the 2017/2018 academic year. SCAN sat down with Deputy Vice-Chancellor, Professor Andrew Atherton, before the announcement was made to find out what the change in fees really means for students. The decision has been made by the University to increase tuition fees for Home/EU undergraduate students by £250. This increase will not only apply to students who enter the University in the upcoming year but it will also be given to those who began their studies in the 2016-2017 academic year, in other words, all current first years. The controversial decision to increase fees for a group of students already attending the University may cause a stir. When asked about whether he was worried about the backlash from current students, Atherton reassured us that the students who would be affected were already aware of the possibility that their fees could increase – stating that the increase had been reported in the news. SCAN was also told that current students at the University would be contacted via email over the period of Week 11 to inform them if the fee changes would affect them. Some other universities across the country have also been given the go-ahead to increase their fees to the newly capped amount of £9250. This raise can only be made if the university is deemed to be ranked either ‘Silver’ or ‘Gold’ in the new Teaching Excellence Framework (TEF), which has proved controversial. In order to score highly in the TEF, universities have to be able to prove that they provide an excellent teaching experience that encourages original thinking and drives up student engagement, amongst a number of other qualities. The TEF stipulates that rises in fees could happen year upon year for those universities performing at these high ‘Silver’ or ‘Gold’ standards with speculation that fees could rise as high as £10000 by 2020. Atherton confirmed that it is likely that fees will continue to rise at Lancaster, depending on where they are ranked in the TEF. 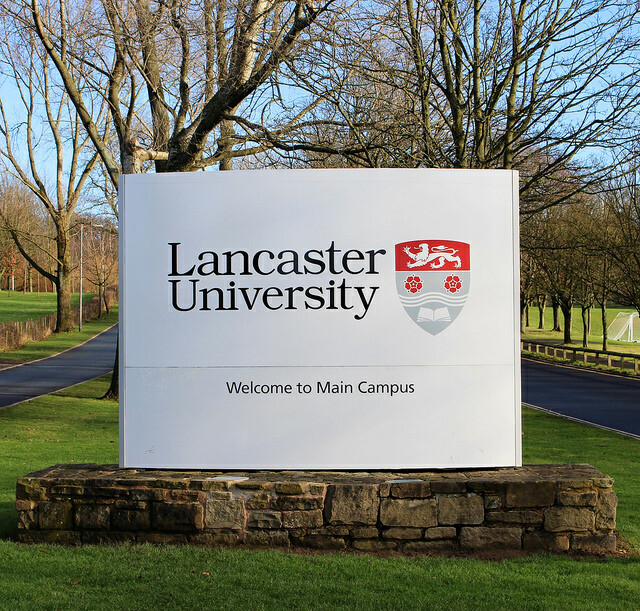 Interestingly, the increase in fees for universities ranked at these high levels is not compulsory but a maximum amount – so Lancaster University has made a choice to raise the fees to this level. When asked why this choice was made, Atherton gave three reasons. The first reason he gave was that because Lancaster is a campus-based institution and in order to “provide the best possible campus environment”, capital investment must be made and for this to be possible the University needs to maintain a higher revenue. The second reason: Brexit. Due to the UK’s decision to no longer be a part of the EU, the cost of the pound in comparison to the euro has fallen drastically, and this has increased the cost of EU-based subscriptions to journals and library products which are vital to research and study at the University. Atherton explained that prior to the Brexit vote subscription costs were around 6% of the revenue for the University whereas now they somewhere around 8-10%. The final reason that Atherton gave for the University’s choice to raise fees by choice was based on the notion of competition. Atherton told SCAN that because other highly rated universities in the country have made the decision to raise their fees to £9250 then if Lancaster didn’t follow in their footsteps it would “raise some real eyebrows on the quality of our provision of education”. Simply, if Lancaster didn’t charge the highest amount possible then it would appear to be providing sub-par education. Atherton did not seem concerned that the increase in fees would reduce the number of applicants that the University would receive or in fact reduce the proportion of young people choosing degrees as their career pathway. Even though the fees have increased over recent years Atherton said that the proportion of students from poorer backgrounds choosing to attend university has actually gone up. He believes this is because there is repayment of the tuition fees until students have graduated and are earning over £21,000. He told SCAN that it is now “less risky to go to university in the new system than in the old system”. The amount of money spent on scholarships and bursaries are also set to increase alongside the fee increase. The government stipulates that universities charging £9000 for their fees have to set aside a specified percentage of the fees between £6000 and £9000. Currently the University sets aside 22.5% of the difference but in the upcoming year, when fees increase to £9250 the university will set aside 26% of the difference, which will then be the difference between £6000 and £9250. If you are pretty mathematically savvy it won’t take you long to notice that although this seems like a pretty good deal on the surface, the percentages are misleading. The increase in fees in real terms, £250 per person, still outweighs the increase in scholarships and bursaries, £170 per person. The announcement made made no mention of International students, both undergraduate and postgraduate, or Home/EU Postgraduates. Atherton told SCAN that International fees are not regulated by the government in the same way as Home/EU undergraduate fees. He told SCAN that although International students can face more fluctuations in their fees every year, the University tries to be as “clear and transparent as possible, and give the postgraduates the best information they could possibly have” when it comes to their fees. According to the Lancaster University website, International undergraduate students beginning in the 2017-2018 academic year are guaranteed a rise of no more than 4% per annum over the standard time to complete their degree programme. LUSU have released a statement saying that they are opposed to the rise in fees. In a statement released by the Full-Time Officer team they have said that they are “disappointed by the University’s decision to increase tuition fees”. The team said that they will continue to lobby the government to abandon the policy which allows high-performing universities, including Lancaster because it “means people from low-income backgrounds face a new barrier to lifting themselves out of poverty”. When discussing the prospect of LUSU’s funding from the University, Atherton told SCAN that the “last thing we want to see is a weak students’ union” and that having a healthy, working students’ union was incredibly important. He said that funding for LUSU had increased over the past two academic years but he could not confirm if this would be the case for the upcoming academic year. Despite this Atherton did mention that there is a possibility that the University will step up financial support to the Union in the event of future reductions to its commercial income, although this is still unconfirmed. It is likely that the news of increased fees will create a backlash amongst students, particularly current students who have been negatively impacted by the rise. One demo, held on Thursday Week 11 in Alexandra Square, only two days after the official announcement of rising fees, shows that the students are unhappy with the University’s decision. Atherton concluded the discussion with SCAN by reassuring students that “the University does not increase fees lightly” and that a number of channels of discussion have been open prior to making this decision. This will, without doubt, be of little comfort for those facing not only a hike in their fees, but a huge amount of uncertainty, in the upcoming years.